Could this spell trouble for stay-at-home dads? In the healthiest, longest-lasting marriages, research shows that partners tend to have two traits in common: kindness and generosity. 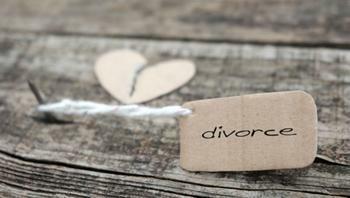 But what factors predict divorce? Money might come to mind first, but a new study finds that cash isn’t the culprit at all. Rather, it’s a couple’s division of labor that may increase the risk of divorce. For couples who tied the knot prior to 1975, the study showed that the share of housework done by the wife affected the risk of divorce. But for couples who wed more recently (between 1975 and 2011), the divorce risk was affected by whether or not husbands worked full-time outside the home. Simply put, the stability of a marriage can be affected by an unequal division of labor. And changing gender roles may be at the heart of the shift in partners' expectations of one another. The expectations with which an individual enters into a marriage may impact their level of satisfaction within the partnership, according to study author Alexandra Killewald, a professor of sociology at Harvard University. And as times have changed, so have expectations. Compared to 1975, couples have different ideas of what employment status and division of household labor should look like within a marriage. “For contemporary couples, wives can combine paid and unpaid labor in various ways without threatening the stability of their marriage,” Killewald said in a statement, adding that women are now finding it easier to step into traditionally male-dominated roles. But men’s roles and responsibilities haven’t diversified quite as much since 1975, she explained. Although the amount of money men bring home doesn’t affect divorce risk, men are still expected to be employed full-time. “While contemporary wives need not embrace the traditional female homemaker role to stay married, contemporary husbands face higher risk of divorce when they do not fulfill the stereotypical breadwinner role by being employed full-time,” Killewald said. Research showed that in marriages where men were not employed full-time, whether due to being laid off or only being able to procure part time work, there was a 3.3% risk of divorce the next year. After husbands obtained full-time employment, the risk dropped to 2.5 percent. The full study will appear in the August issue of the American Sociological Review.